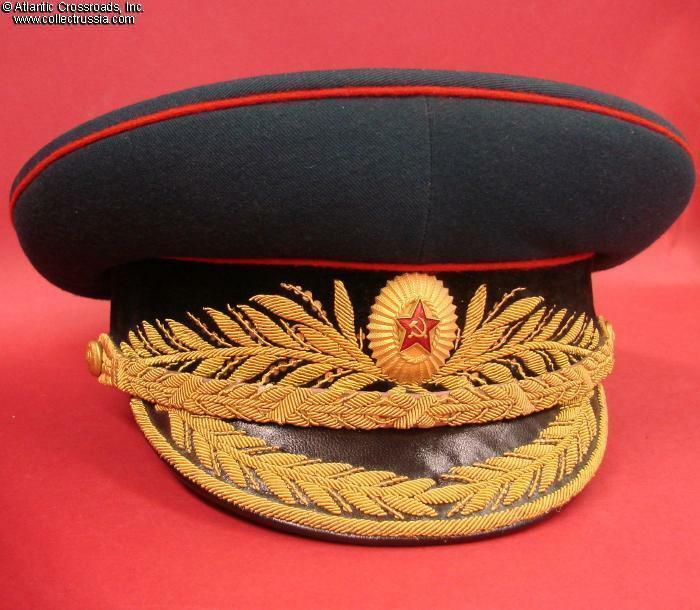 Armored Corps General Full Dress Visor Hat, circa late 1950s - mid 1960s. In fine wave blue wool gabardine, with black velvet band and red piping. 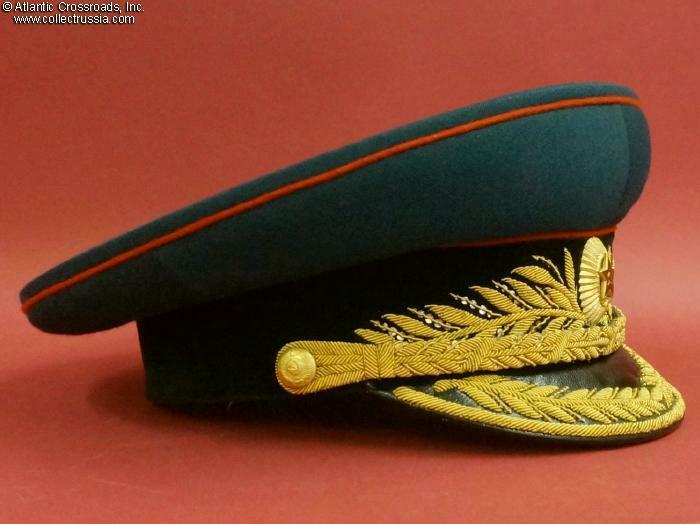 Gold bullion embroidery on the band and visor. 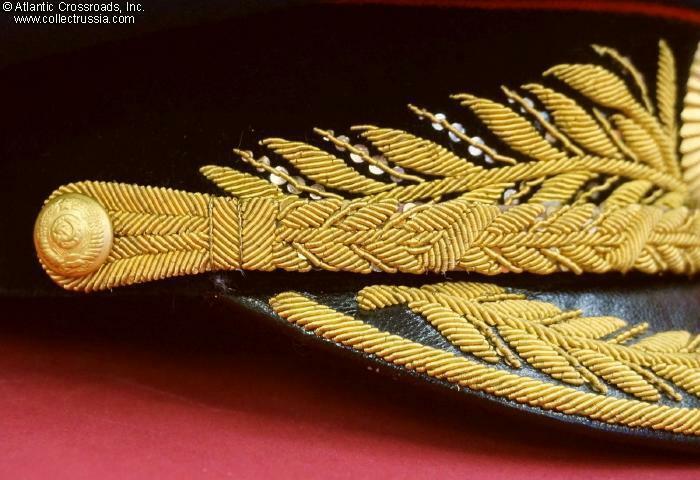 The chin cord is in leather with fine bullion embroidery; it is held by general officer cap buttons that are the early version in brass, more substantial than the later issues. 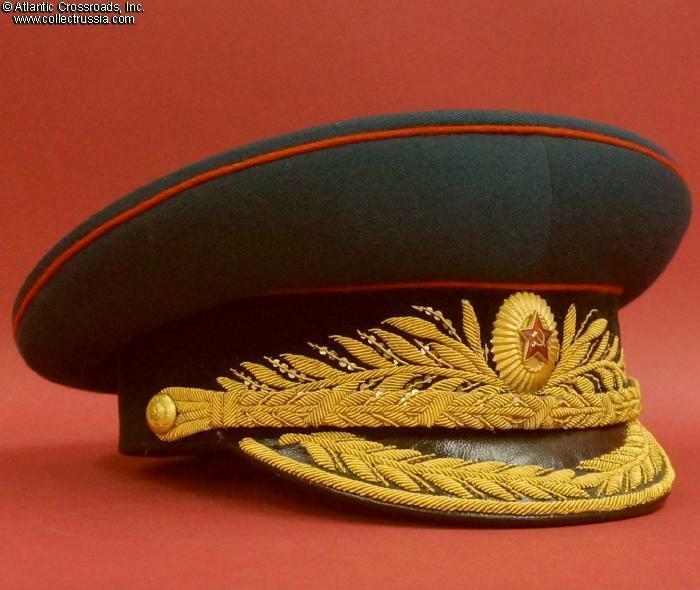 Early style smaller crown and small rounded visor. Correct earlier type general's cockade: two-piece construction in gilded brass with real "hot baked" enamel in the star (as opposed to the later model in anodized aluminum and paint). The sweatband is in genuine leather, perforated to accept a white silk drawstring for an adjustable fit, a feature only available to generals and marshals. 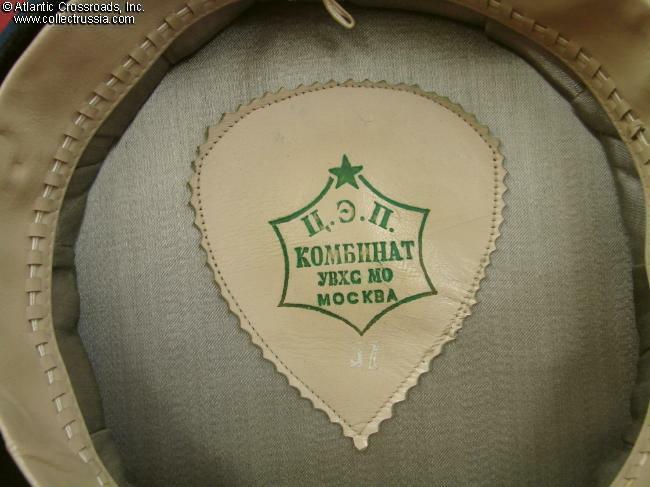 The sweat shield is of early teardrop shape; it shows maker's logo "TsEP Factory, Moscow" and a Size 57 (about US 7 1/8). 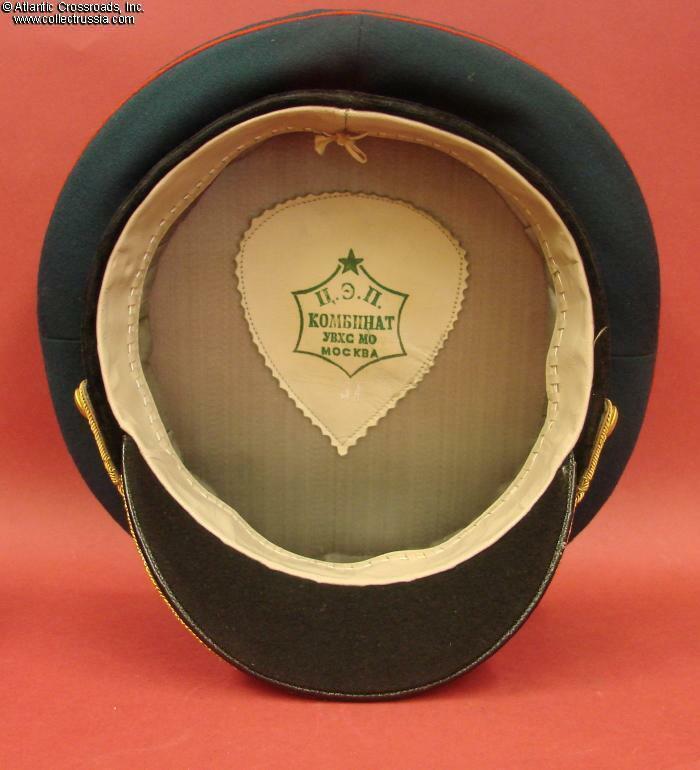 Although there is no date, the style of the logo as well as the overall quality and shape of the hat make is certain that it was manufactured no later than the mid-60s. 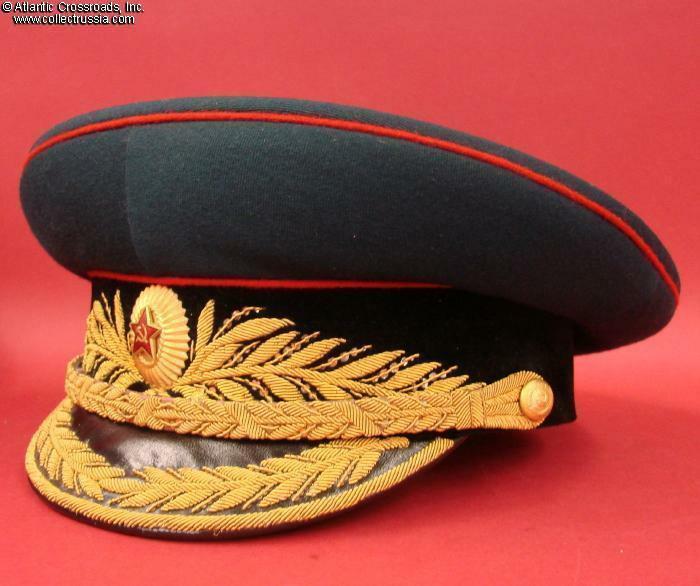 The hat is in outstanding, excellent condition. 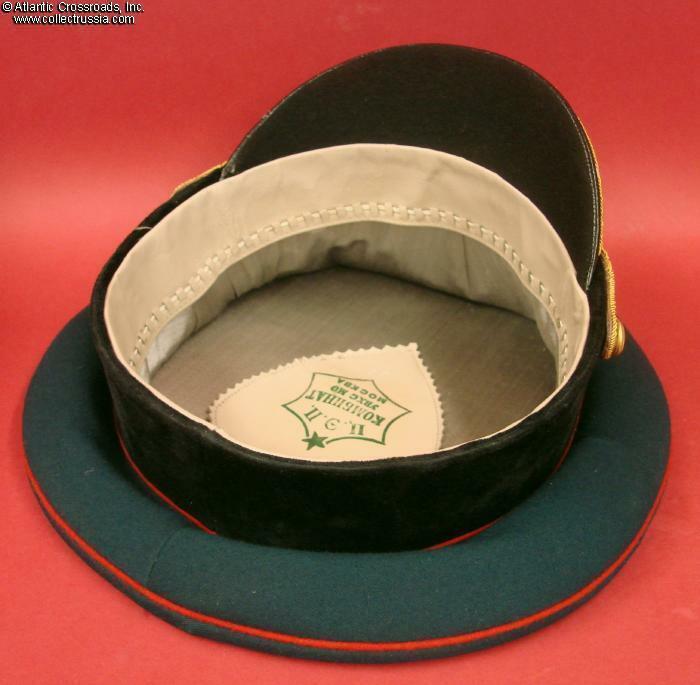 Unlike most hats of this early vintage, it held its shape beautifully, not squashed in transit and storage. The visor is very solidly attached. 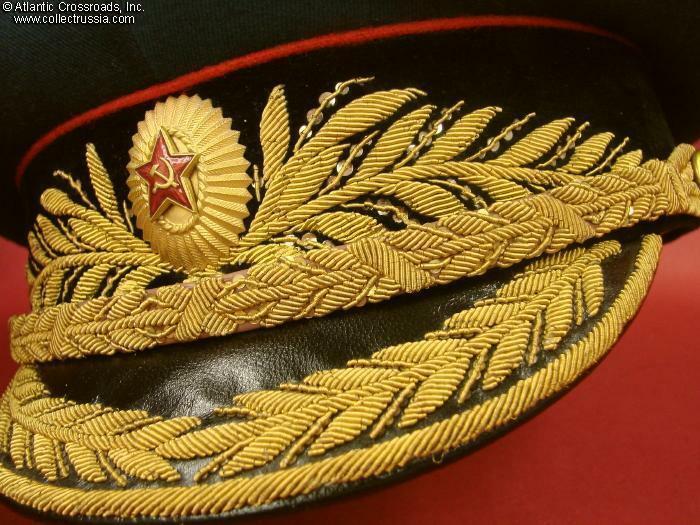 The hat shows almost no wear. 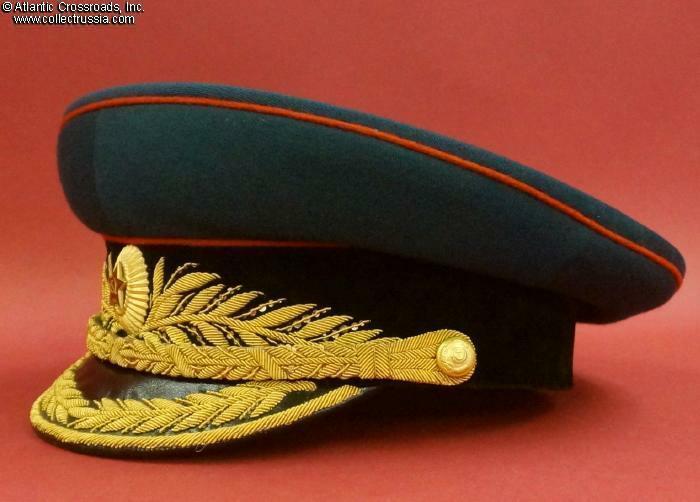 There are just a couple of tiny scuffs to the edge of the visor that are practically unnoticeable. The crown is immaculately clean, without stains or soiling. 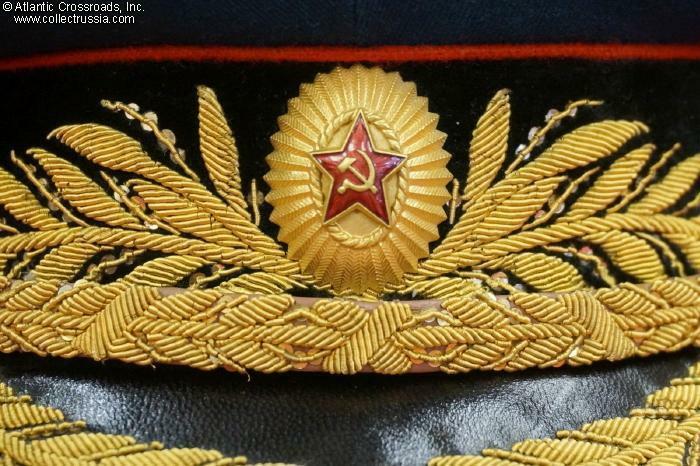 Unlike most Soviet hats from the period, there are no traces of mothing anywhere, including the underside of the crown. The black velvet band is likewise perfect, without moth damage of scuffs. 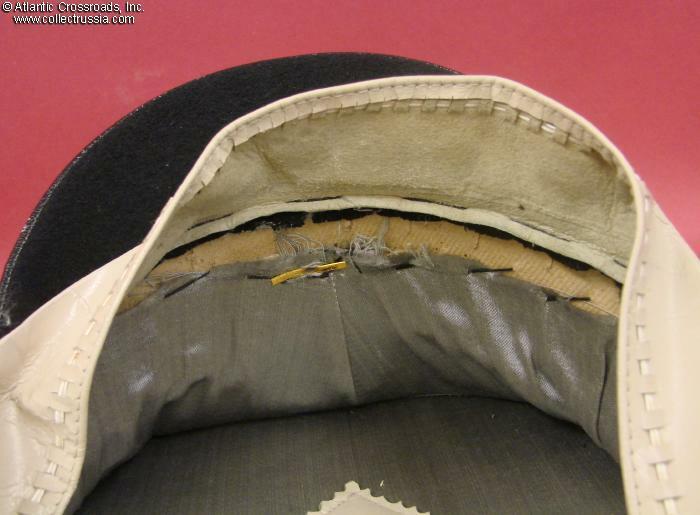 The sweat band and liner look immaculately clean, and so does the felt underside of the visor.